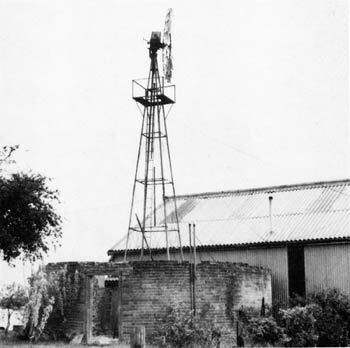 Barton Turf postmill had a 20ft diameter brick roundhouse and was powered by one pair of common sails and one pair of double shuttered patent sails that ran 2 pairs of stones to grind flour and in later years grist. The sails were turned to the wind via a tailpole. 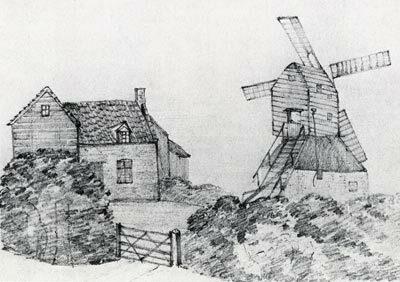 The ESTATE of the late Robert Woolterton's, Miller, deceased, at Barton Turf in the county of Norfolk, consisting of a Dwelling House & Barn & two Acres of Land with the Wind-Mill thereon in good Repair. Enquire of Mr. Edmund Clipperton of Barton Turf afgoresaid, his Executor. 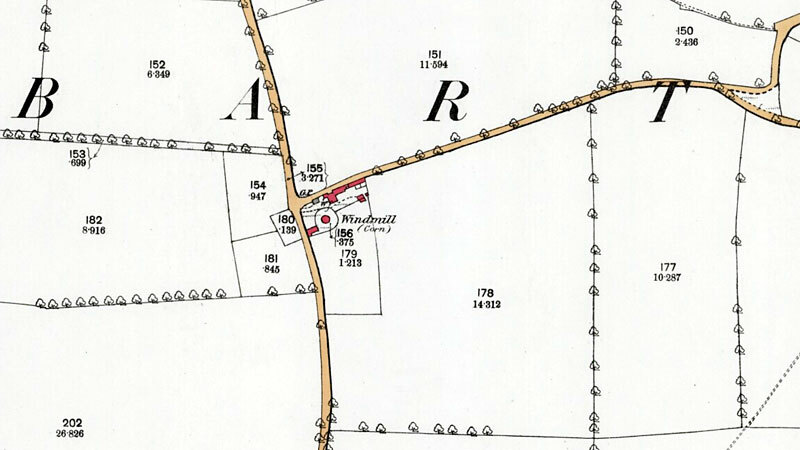 A Desirable ESTATE in Barton Turf in Norfolk consisting of a Dwelling house & other buildings, a windmill & about 4 acres of good land, in the occupation of Mr. Thomas Cadge, of which possession may be had at Michaelmas next. Robert Harvey, brother-in-law of Wortwell, Flour Merchant & Farmer, Executor. "... that the said Ann, my wife, shall & do, by & under the direction of my said Executor hold to occupy my Mill & Land that I hire & occupy in Barton Turf aforesaid or in any other town adjoining & have the usae of as much money as my Executor should think proper to carry on the trade of the mill ..."
No. 199 House, Yards & Windmill 0a. 1r. 26p. part 2a. 2r. 34p. 17s. 3d.